Choosing your bridesmaids can either feel really daunting or really easy; you don't want to upset anyone, you've got to think about how many people you want and also not to be too black and white but who would do the best 'job'; who would make you feel good both in the lead up and on the day, who would reassure you and be amazing at planning and helping and be organised. There are A LOT of things to think about. But I actually realised that if you have to think about it a lot then it's probably not right and to just go with your heart and who you initially thought OF COURSE I want them by my side. For me that was my sister, Victoria, as maid of honour and Milly and Amy as my bridesmaids. I decided that sticking to three people and keeping it small is what I really wanted, even if it didn't match Sam's numbers (who will be having four groomsmen). You can hear more of my advice about choosing bridesmaids in this video. BUT asking your Bridesmaids is one of the most exciting parts of wedding planning because you get to celebrate even more with your favourite people! 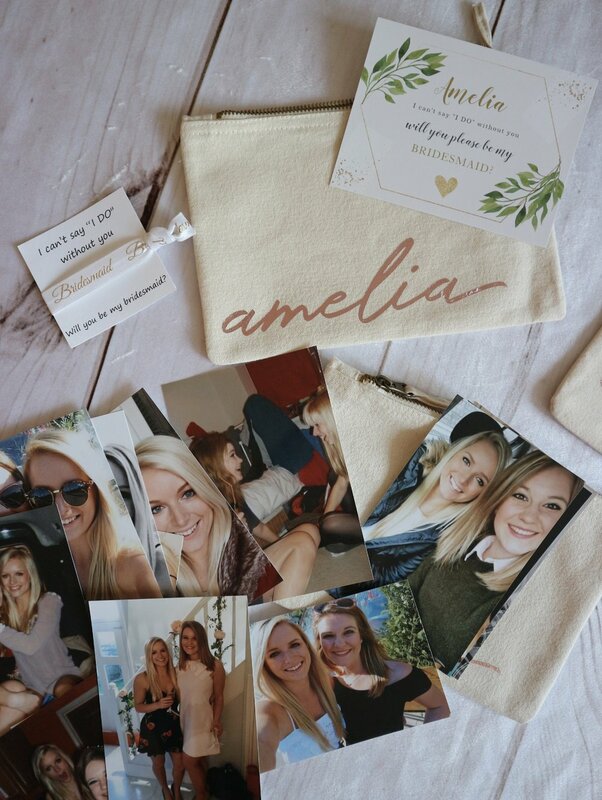 I knew that I wanted to make it special with little gifts that my bridesmaids could keep, but also choose something that they could use every day (as opposed to a gift that says 'bridesmaid' across it). 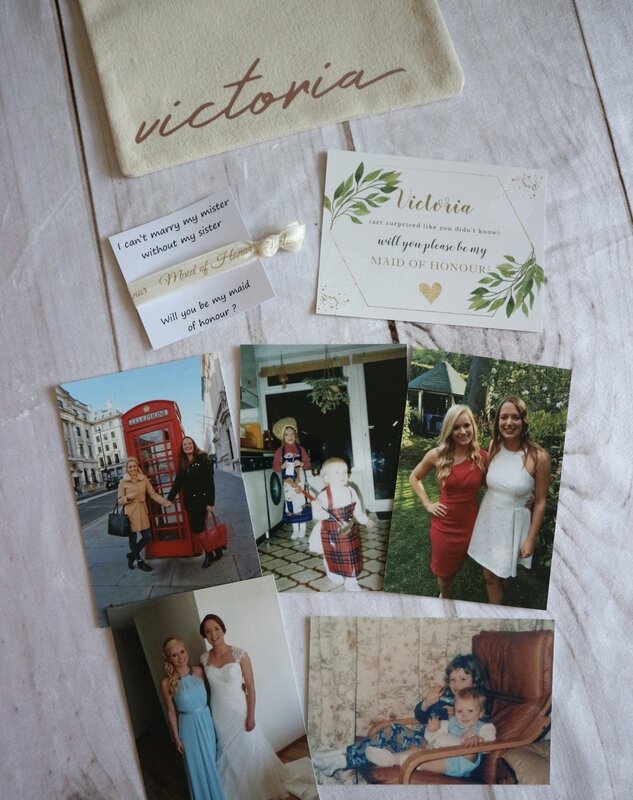 This is why I chose these gorgeous, personalised make up bags from Luna Harkin on Etsy as well as a 'bridesmaid proposal' card (I loved these because we are having a winter wedding and it matches the potential colour schemes of having white, greenery and gold). I also loved these hair ties / wrist bands from Etsy for both Maid of Honour and Bridesmaids - as a little keepsake and to have something that they can use on the day when getting ready etc. Asking your bridesmaids doesn't need to cost the earth but little gifts and/or cards make it even more special and it is honestly so much fun choosing everything and putting it together. I ended up putting photos, the card, hair tie and a little notebook and pencil inside the personalised bag and it was SO fun watching each person open it! I hope that this post gives you some inspiration and for even more advice / to see the gifts on camera, watch my YouTube video here which also has footage from choosing our venue too!